Well, England are still in the World Cup, Summer is in full flow and Hazelwood parkrun is now a regular fixture in the Sunbury calendar. 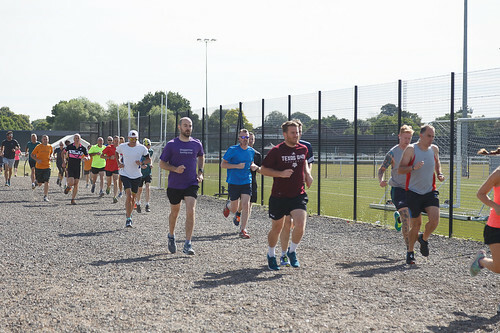 This week we welcomed 126 participants that either ran, jogged and walked the course, of whom 31 were first timers and an amazing 52 recorded new Personal Bests. Representatives of 14 different clubs took part. We were also lucky enough to be joined by parkrun founder Paul Sinton-Hewitt, following the run he stuck around for coffee and a chat with the local runners. We did have to make a slight alteration to the course due to the fact that a beer tent was occupying our finish funnel location. I would like to say the presence of copious amounts of alcohol didn't affect our concentration, however we did experience a slight timing issue which meant that a small number of times we're inaccurate. Luckily, our crack team of results gurus were on the case and managed to reissue the correct times. Our first male finisher was David HALLOWAY with an impressive time of 16:30 and who now holds the course record. Our first female finisher was Kathryn LOVEGROVE who ran a time of 20:45 which was also a PB! As ever, massive thanks go to our volunteers: Carolyn LOVEGROVE • Robert LOVEGROVE • Adrian CLEMENT • Andrea CAVALHEIRO • Rohan KOTHARY • Matthew SARTIN • Mel WILCOCK • Ted LANGHAM • Phil WIGGLESWORTH • Matthew THAIN • Claire MEDLEY • Ethan SHAFFELBURG • Lil THAIN • Maxine SELLS • Kelly KOTHARY. Without our amazing hi-vis heroes, we wouldn't be able to put this event on each week. If you can spare an hour of your time on a Saturday morning, it would be greatly appreciated by all. Today's full results and a complete event history can be found on the Hazelwood parkrun Results Page. Don't forget, after each run we head into the Hazelwood bar for post event tea/coffee and bacon or sausage rolls. We look forward to welcoming you all back to Hazelwood parkrun again next week. DFYB Don't Forget Your Barcode! 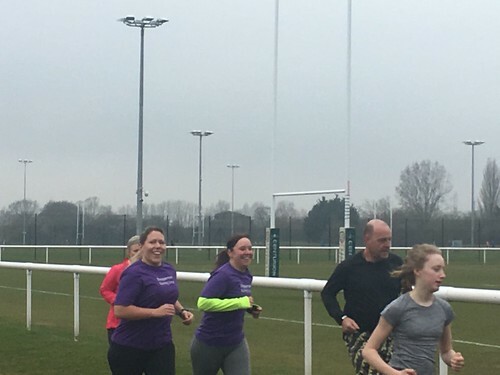 Born and bred in Ashford but now a northern emigrant (with Hull as my local parkrun), I was keen to try Spelthorne’s first parkrun on a visit back home. 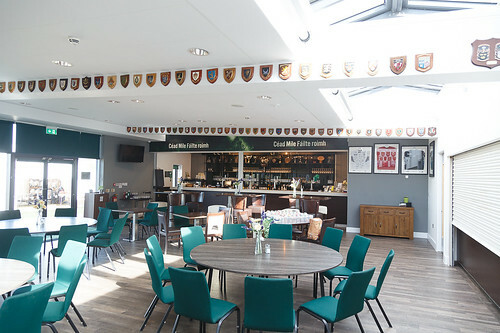 Knowing only that it involved a run around some rugby fields, I was pleasantly surprised to find the run was based at London Irish’s state-of-the-art training centre. Lots of parking and great facilities: My non-running wife and baby were particularly pleased at the cafe (and bar!) opening just before 9 for bacon butties and coffee! After listening to the great briefing from Kelly - including a light-hearted warning about the automatic sprinklers - the 129 runners made off for the start line. A no-nonsense countdown later and we were off! The sprinklers didn’t prove to be much of a problem (at least not for me) and actually proved quite refreshing on what was a hot and humid morning. Running round rugby pitches had a certain nostalgic quality, stirring memories of fitness training (or punishment!) at school (“three times round the pitch before the showers, lads!”), and the course was generally very fast and flat, with few bottlenecks. 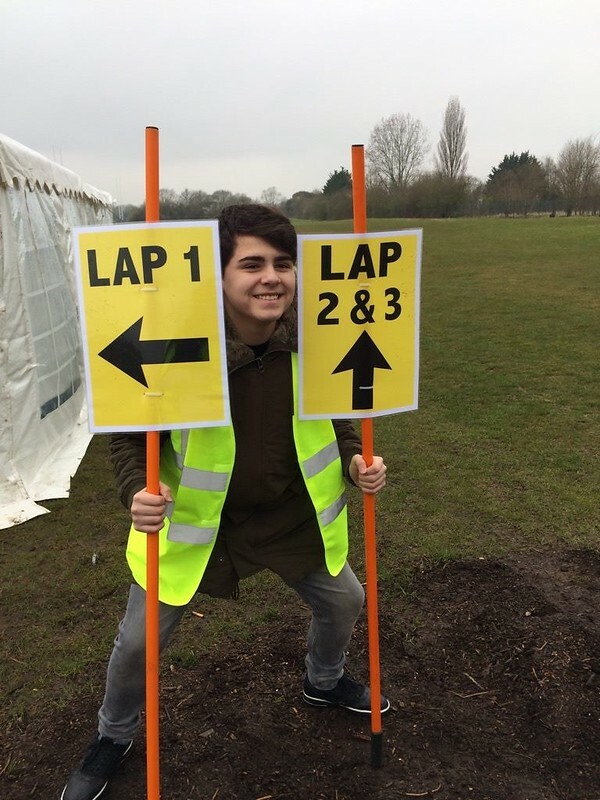 I particularly liked the signs at one corner telling people doing their first lap to turn left and straight on for two and three. A nice touch, as were the always-welcome kilometre markers. There’s also a really nice long straight at the end of the run that’s perfect for a sprint finish. And I saw many duly oblige! Despite this only being the twelfth Hazelwood parkrun, I spotted lots of 100 T-shirts, mostly visitors I would guess but presumably also a few lucky souls who have just had a parkrun open up in their neighbourhood - or perhaps who even helped to get it started ... 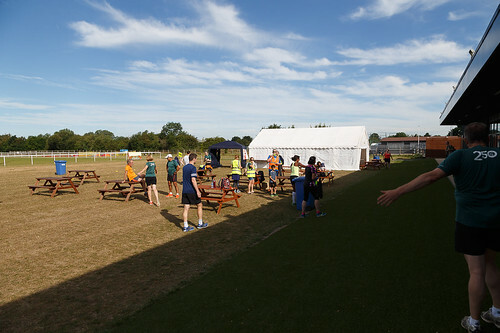 In terms of clubs, there was a large contingent from both Shepperton Running Group and 26.2 RRC. 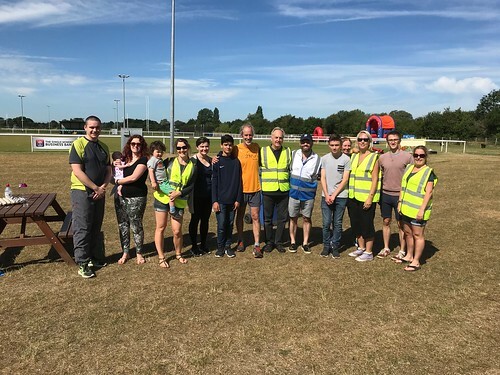 There were nearly 50 newcomers to Hazelwood, with Marta KOSSAK-KONETA, Gillian WELLARD, Julie BRENNAN, Maya PATEL, Claire CONWAY, Daniel FLETCHER and Andrea WEBB completing their first ever parkruns. Welcome to the fold! Aesthetically pleasing time of the week (for me) goes jointly to junior runners Will SCHAFFELBURG and Isabel MAY, who both finished in an impressive 24:24. I was also excited to see my first 500 T-shirt, sported by (surprisingly) a non-Bushy Park runner, Basingstoke’s Andrew MASON. In terms of general atmosphere, Hazelwood and its volunteers and runners offered a warm welcome. It was nice to visit a parkrun that was still relatively small - there aren’t too many about these days! And this is such a good one that I’m sure the numbers will steadily increase as word gets around the local community. For our second parkrun event, 149 runners, joggers and walkers descended upon Hazelwood. Last weeks mini beast from the east now seems like a distant memory, having said that, the course conditions were still rather wet and muddy. A big shout out goes to the 18 people who ran their first ever parkrun today, we look forward to seeing you all at many more events in the future. 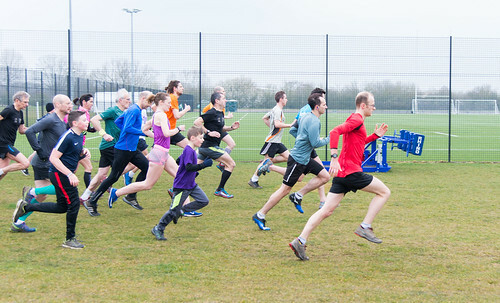 We also welcomed visitors from 32 different parkrun events and recorded 20 personal bests. Congratulations go to Ollie Garrod of Epsom & Ewell Harriers and Rebecca Curtis-Hall of Ranelagh Harriers, the first male and female finishers. 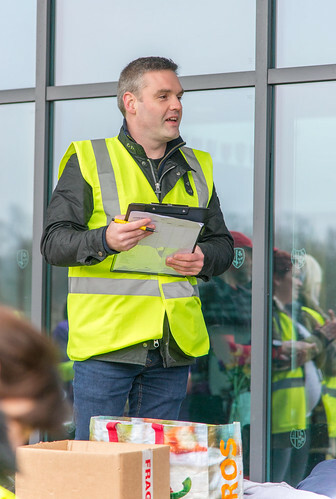 Without our Hi Viz Heroes there would be no parkrun, so huge thanks go to the 16 volunteers who made today possible, Dan SEARLE, Steve BARRINGTON, Rina VYAS, Nicola LOVEGROVE, Alison JOYCE, Sarah BAGGS, Andrea CAVALHEIRO, John MAXEN Jonathan ROURKE, Ted LANGHAM, Phil WIGGLESWORTH, Matthew THAIN, Joseph WIGGLESWORTH, Louise STENT, Lil THAIN and Maxine SELLS. If you would like to volunteer, finding out about Hazelwood parkrun volunteering opportunities couldn't be easier. Simply open a recent parkrun newsletter, results email or volunteer email, click on 'manage my profile', then 'email options', then select the events you'd like to hear from and click 'save opt-in events list'. You will then receive regular emails from Hazelwood letting you know all about their volunteering opportunities. Its great fun You can see our future volunteer roster via our specific future roster page. To get in touch with us directly, just send an email to hazelwoodhelpers@parkrun.com. Hazelwood Centre has superb facilities. 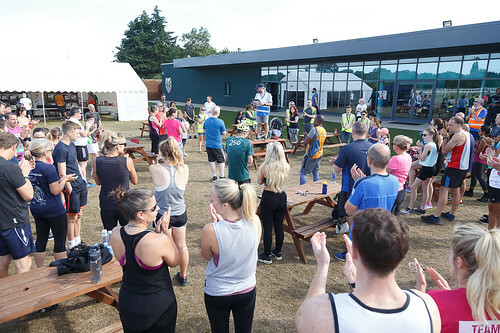 Following the run, all participants were able to retire to the clubhouse to enjoy hot snacks, cake and beverages and chat about their experiences on the course and, of course, to look forward to next Saturday.